The agency has said it has no input on the whereabouts of Nitin Sandersara and his family members. The CBI has asked the Interpol wing of Nigeria to confirm if absconding promoter of Gujarat-based Sterling Biotech, Nitin Sandesara, being probed in a Rs 5300 crore banking fraud case, has moved in that country, officials said Tuesday. The move came after reports that Sandesara along with his family members, also accused in the scam, have fled from the United Arab Emirates to Nigeria with which India does not have any extradition treaty. The agency has said it has no input on the whereabouts of Sandersara and his family members. Following the reports, the agency has approached the Nigerian Interpol authorities to find out details of Sandesara and his family members. Last October, the agency booked Sterling Biotech, its directors Chetan Jayantilal Sandesara, Dipti Chetan Sandesara, Rajbhushan Omprakash Dixit, Nitin Jayantilal Sandesara and Vilas Joshi, chartered accountant Hemant Hathi, former director of Andhra Bank Anup Garg and other unidentified people. The CBI has alleged that the company had taken loans of over Rs 5,000 crore from a consortium led by Andhra Bank which have turned into non-performing assets. The FIR has alleged that the total pending dues of the group companies were Rs 5,383 crore as on December 31, 2016. The directors of the company "connived with the in-house chartered accountant and falsified material records of the company", such as production, turnover and investments in capital assets, the FIR alleged. "This was allegedly done using various India-based entities and those situated abroad," it said. The company was earlier booked by the CBI in August for allegedly bribing senior Income Tax department officials. On June 28, 2011, the IT department had conducted searches and seizures at 25 premises of Sterling Biotech Ltd, during which a diary containing hand-written records of financial transactions was found, the FIR in that case had alleged. "Some of these names were appended with further references such as IT or Commissioner etc," it had alleged. In the present case, the CBI has booked all the accused for criminal conspiracy, cheating, forgery and corruption among other charges. The CBI has alleged that false and fabricated documents and manipulated balance sheets were prepared for getting loans sanctioned from the banks which were later diverted for personal purposes. It said that in an attempt to cheat the banks and falsely represent market capitalisation of the group companies, the shares in India and abroad in the names of non-promoters were held by directors themselves and were concealed from banks. 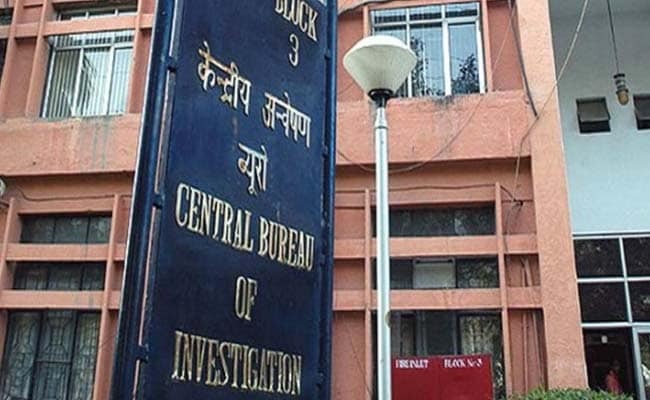 The CBI FIR alleged that the directors had quoted false documents under their signatures with "mala fide intention" to induce banks to sanction and release the credit limits. "In three areas manipulation was substantial -- reporting of turnover of companies, reporting of investments in capital goods (fixed assets) and taxes to be paid on the manipulated turnover," it alleged.